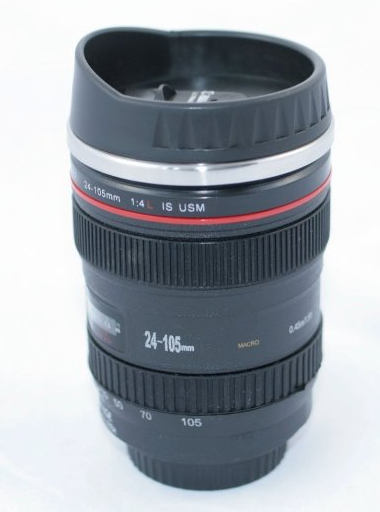 Camera Lens Travel Coffee Mug Only $8.88 PLUS FREE Shipping With Prime! You are here: Home / Great Deals / Amazon Deals / Camera Lens Travel Coffee Mug Only $8.88 PLUS FREE Shipping With Prime! for Only $8.88 PLUS FREE Shipping With Prime! This is unique, fun and looks realistic! Get yours NOW! Make sure you take advantage of a FREE 30 Day Amazon Prime Trial to get this Great Deal!